(June 17): 1Malaysia Development Berhad (1MDB) president and group executive director Arul Kanda Kandasamy and former CEO Datuk Shahrol Halmi will be questioned separately by Parliament's Public Accounts Committee (PAC), its chief Datuk Seri Nur Jazlan Mohamed said today, following new information from its ongoing probe into the troubled state investor. Both men will be summoned in August on separate days, and Nur Jazlan said this should give them more reason to be worried based on the information PAC had received from the auditors Deloitte and KPMG. "Now we have more information from Deloitte, from KPMG. I would tell them to be more worried that we have more information now and confirmed by the auditors themselves," Nur Jazlan told a press conference at the Parliament lobby today. The PAC chief added that Mohd Hazem Abdul Rahman, who served as 1MDB's CEO from March 2013 to January 2015, would also be summoned, based on the new information. 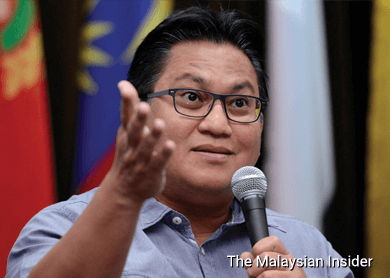 Nur Jazlan said letters had been sent out to the Finance Ministry informing Shahrol that he must appear before the PAC on August 4, and Arul Kanda the next day. He said the PAC intends to question Hazem on August 6, but no letter has been sent to him yet. On why the PAC decided to call Shahrol and Arul Kanda separately, Nur Jazlan said it was due to time constraints. "I think it's going to be quite a long hearing. We have to verify a lot of things. So they should be prepared for a lengthy session as well. So it's much better for us call them up separately," he said. Nur Jazlan added that with the lengthy notice, the two should have no further excuses to avoid the hearing. Meanwhile, Sime Darby president and group chief executive Tan Sri Mohd Bakke Salleh, who formerly served as the chairman of 1MDB's board of directors, will be called up on August 17, said Nur Jazlan. Another former 1MDB board member, Tan Sri Azlan Zainol, who is now RHB Bank chairman, will also be questioned on the same day. Letters have yet to be served to the two. "On August 18, we are going to call the other current board members. They have not been invited yet, but we plan to call them," he said. PAC is questioning KPMG today over its role in auditing 1MDB's book from 2010 to 2012. Nur Jazlan said the officials were cooperative and stood by their decision to give 1MDB a clean bill of health. He added that the auditor-general informed him the interim report on 1MDB would be complete by the end of this month, and that the latter had expressed willingness to appear before the PAC to explain the findings on July 9.